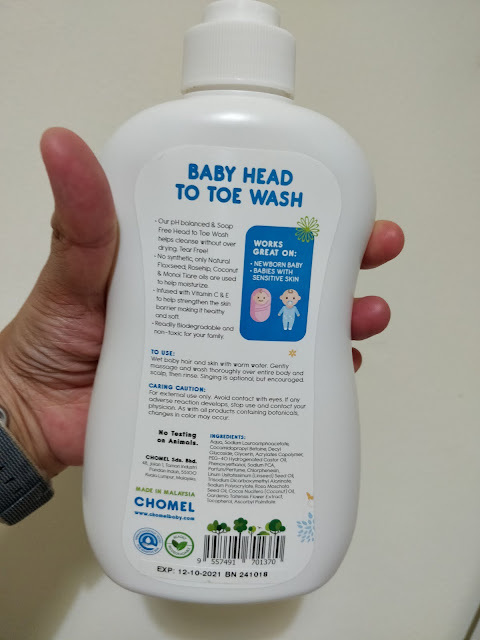 A life in a webbis: CHOMEL Top-To-Toe Body Wash Review - HALAL by JAKIM!
. It has the best scent ever! The scent is not overpowering at all. - Suitable for sensitive skin. even eczema! The soap is slightly clear color with a hinted 'baby-ish' scent. Hehe. I love that the scent is not based on any fruits or flowers. It is just smells of...babies. Haha. Fresh and clean. So far, I am loving this wash because it is PH Balanced, suitable for all skin types even sensitive ones and yes eczema friendly! It uses only natural flaxseed, rosehip, coconut and manoi tiare oils which used to moisturize. It also has Vitamin C and E to make the skin healthy and soft. 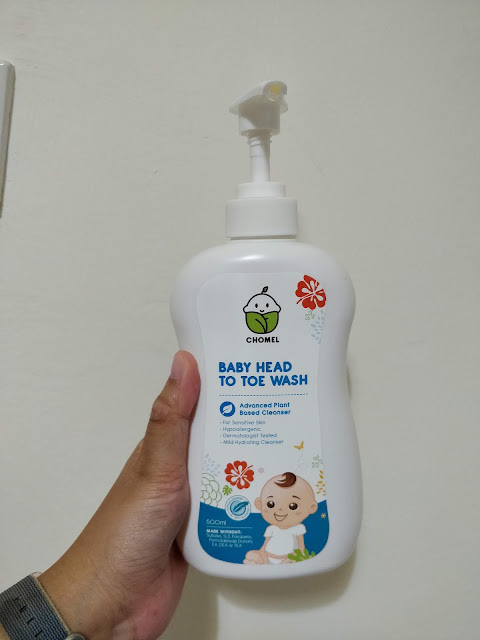 I will write a review on their lotion and baby wipe next! I tell you, the lotion is TO DIE FOR! As an eczema sufferer, not only my baby is enjoying the lotion, mama is also enjoying it as well.